Globally, addressing violence against women is an urgent public health, human rights, economic and public policy priority. 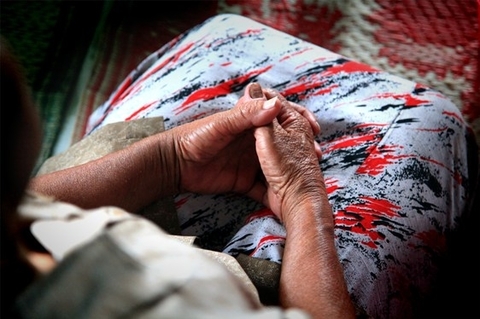 In countries across Asia and the Pacific, surveys indicate that between 15 and 68 percent of women have experienced physical and/or sexual violence at the hands of an intimate partner. 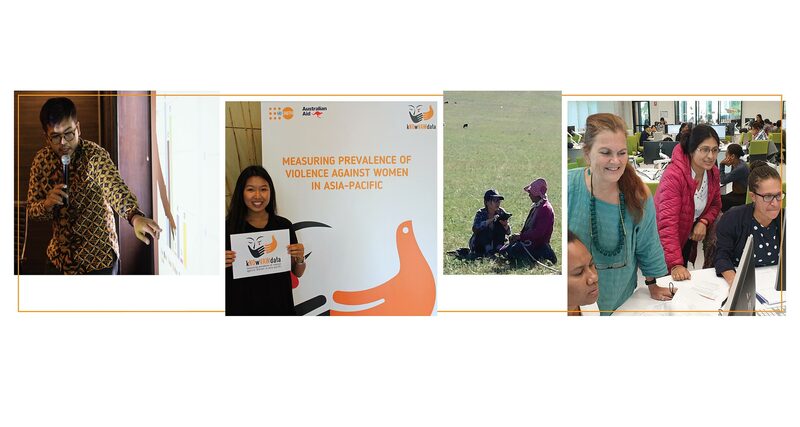 kNOwVAWdata works to sustainably strengthen regional and national capacities to measure the prevalence of violence against women in Asia and the Pacific. Under the partnership of UNFPA Asia and the Pacific Regional Office, the Australian Government Department of Foreign Affairs and Trade (DFAT), the University of Melbourne and ANROWS, kNOwVAWdata improves the availability and quality of data to inform more effective policy and programme responses to prevent and end violence against women. Reliable, comparable and nationally representative data on violence against women are essential to prevention and response efforts, but technical capacity to collect such data safely and accurately is limited. kNOwVAWdata addresses this gap by supporting and training national institutions across Asia and the Pacific to collect and analyze data on the prevalence of violence against women. As part of our commitment to sustainability, kNOwVAWdata offers a four-week training course, developed and facilitated with the University of Melbourne and ANROWS. Launched in 2018, the course is offered annually. Our curriculum is initially designed for professionals involved in measuring violence against women in the Asia-Pacific region. The kNOwVAWdata training course is establishing a network of skilled professionals and researchers with the ability to provide technical assistance to national violence against women data collection, analysis and rollout efforts. For more information on the course as well as multi-media stories from the field, please visit the kNOwVAWdata partnership website: knowvawdata.com. We use internationally recognized, best practice survey methodologies, such as the World Health Organization (WHO) Multi-country Study on Women’s Health and Domestic Violence, and the Domestic Violence module of the Demographic and Health Survey (DHS). kNOwVAWdata is guided by a technical advisory committee that provides expertise on all aspects of the initiative, including monitoring and evaluation, and shares learning at the global level to ensure coordination with other violence against women data efforts underway. Real-life stories of the brave and compassionate individuals involved in measuring vitally important, nationally representative data on violence against women. The designations employed and the presentation of material on the map do not imply the expression of any opinion whatsoever on the part of UNFPA concerning the legal status of any country, territory, city or area or its authorities, or concerning the delimitation of its former frontiers or boundaries. The dotted line represents approximately the Line of Control in Jammu and Kashmir agreed upon by India and Pakistan. The final status of Jammu and Kashmir has not yet been agreed upon by the parties. The depiction and use of boundaries, geographic names and related data shown on the map and included in lists and tables in this publication are not warranted to be error free nor do they necessarily imply official endorsement or acceptance by the UNFPA. [The countries listed are those in the Asia-Pacific Region where UNFPA is present/working] The data in the map reflect the most recent national data collected with either the WHO methodology, the DHS (DV module) or the UNECE VAW survey module. Details on the study, the sample and the age range are shown when you select and click on a specific country. The map will be regularly updated and expanded to include data from more countries, other methodologies as appropriate, more types of violence, and additional disaggregations. The prevalence data for ‘psychological violence’ currently reflect the prevalence for ‘at least one act of emotional abuse,’ excluding controlling behaviors. Prevalence rates displayed here reflect the entire age range of women for whom data were collected in the surveys. Countries or territories that are too small to show at scale on the map are represented by small dots. ‘Last 12 months’ indicates the 12 month period prior to the survey interview. ‘Lifetime’ indicates whether violence everoccurred at some point during an interviewee’s life.